I want to start by saying I hope everyone had a fantastic Christmas and New Year. I'm still struggling to get my head around the fact that we're in 2015, anyone else with me on this one? This Christmas I was incredibly lucky and I received some amazing gifts from my friends and family! 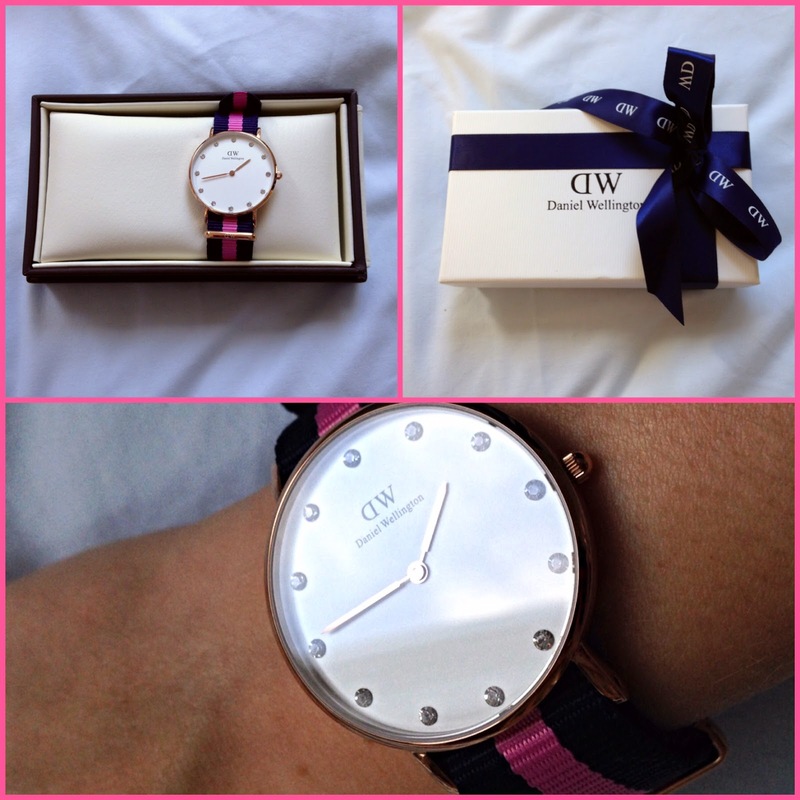 One of my favourites that I had to share with you is a Daniel Wellington watch that I received from my Mum. I was fortunate enough that she let me choose it so I knew which one I was expecting. The 'Classy Winchester' retails for £129 on DanielWellington.com. Because we ordered it during the festive season we received complimentary gift wrapping which was lovey. The watch face has a diameter of 34mm and a height of only 6mm. Most of the watches are available in either rose gold (which I went for), or silver casing. The Classy collection features Swarovski crystals for the index. I have ridiculously small wrists and I have never owned a large watch before. Because the Daniel Wellington watches are so thin I thought I'd go for the larger face for a change. I love the preppy and simplistic style of all the watches and could have easily ordered a dozen! The watches come with a choice of leather or nylon/ 'NATO' straps which are all interchangeable. The website has a bit of a history to the brand and they say that the NATO straps originated from the British Navy where divers would wear strong nylon straps over their wetsuits. They have utilised this practical element and created a line with lots of patterns and colours which make it fashionable and relevant but also maintaining a classic British feel. I'm completely in love with this watch and feel it won't be my last Daniel Wellington.